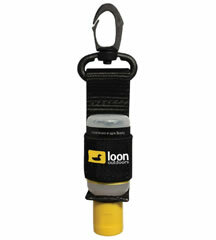 Holds one standard Loon bottle (Aquel type). 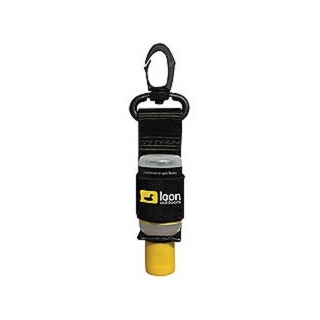 Nylon webbing with elastic retainer strap. Clips to ‘D’ ring.